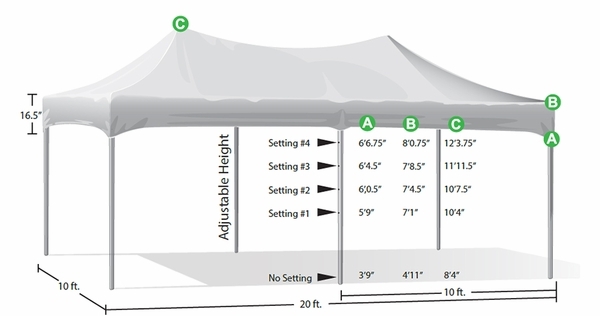 Make your venue an eye-catching place with this 10-ft. by 20-ft. pop-up canopy tent. Its great style is a sure way of saying to prospective customers that your materials, tools or merchandise are worth a perusal. The top is water-resistant, fire-retardant, and UV-protected and the 16-gauge aluminum frame is rust-proof and adjustable to 4 different height settings. No assembly is required for setup, which can easily be done in 30 minutes by two people. Choose from 10 bold colors and rest easy in the dependable service from this KD Kanopy. Does this KD Kanopy tent withstand rain and can I get side walls for it? This canopy is water resistant, but not water proof. 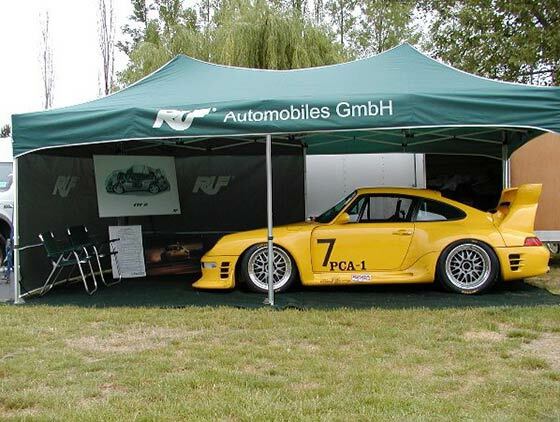 Unfortunately, there are no available sidewalls for this canopy. I have an "L" shape small tear. Do you sell fabric for patching? The only repair kit we carry is the Caravan brand patch kit. The colors will likely not match the color of your canopy exactly.